Even during the healthiest bull markets, there will be down days … weeks … even months. But don’t let that send you off course. Sure, if a stock has little prospect of an uptime, it’s a good idea to get out — and the sooner the better. This could be because of a fundamental shift in the stock’s prospects like a long-term decline in demand trends. However that isn’t the case with the stocks below. True, all five of these stocks have endured a tricky month. 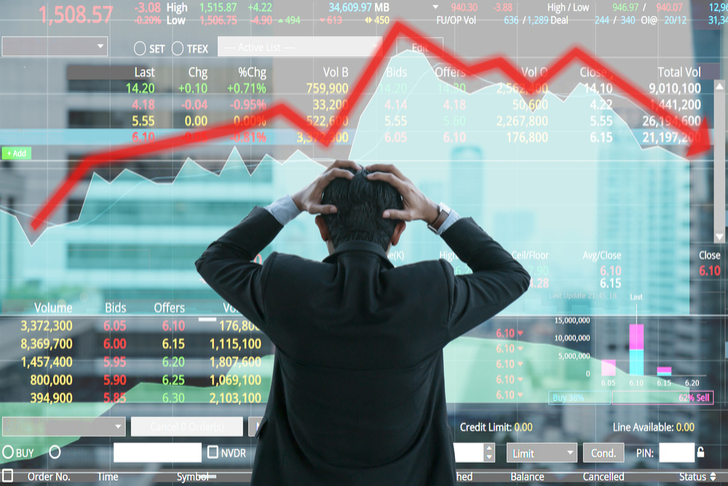 All these stocks have seen prices fall considerably of late But with the long-term outlook still intact, now’s not the time to sell. Indeed for some investors not currently in these stocks, now could even be the time to buy. 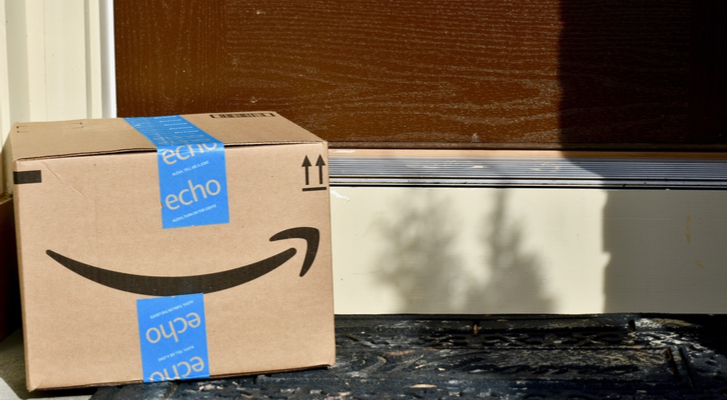 Amazon’s (NASDAQ:AMZN) fundamentals have improved significantly over the past few months, as it has expanded its dominance in e-commerce and the cloud, while growing its presence in advertising and offline retail. Yet, the stock has dropped recently. Tigress Financial analyst Ivan Feinseth (Track Record & Rating) believes AMZN stock continues to leverage its strong retail, e-commerce and web hosting platforms to develop new business lines and penetrate new markets. As such, he views the recent pullback in its share price as a buying opportunity. Extending its core information management, web hosting and e-commerce capabilities. Expanding its retail presence with the ongoing opening of its Prime Stores and expanding into development of cashierless convenience stores. Expanding into medical services with the recent acquisition of online pharmacy, PillPack. Driving additional revenue through the integration of display advertising on its websites as well as expanding the Alexa audio interface and increasing IoT connectivity. Feinseth forgoes setting a price target, but he does write the following: “We believe significant upside exists and view the recent pullback as a buying opportunity.” And we can get an idea of the upside from the kind of price targets published by other top analysts. Right now their average price target stands at $2,185, giving the stock a return potential of over 22%. Net net, the Street backs Feinseth’s bullish bite into the online retail titan. TipRanks analytics exhibit AMZN as a strong buy. Out of 41 analysts polled in the last 3 months, 40 are bullish on Amazon stock versus only one analyst who remains sidelined. Interested in AVEO stock? Get a free AMZN Stock Research Report. 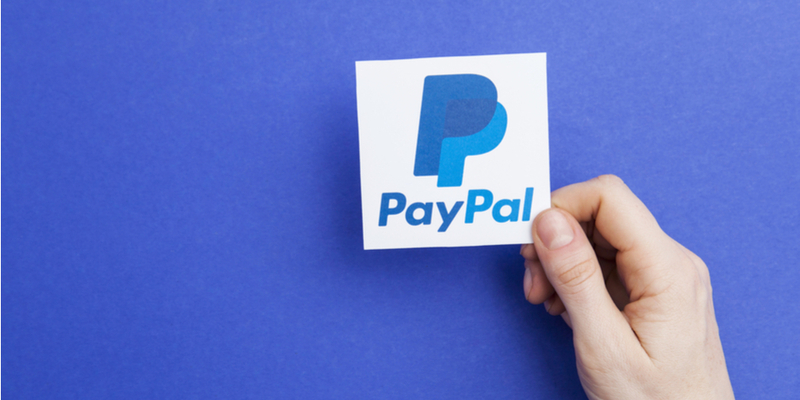 PayPal Holdings (NASDAQ:PYPL) has plunged just over 14% in the last month. Now isn’t the time to start selling however. This stock still has a lot more to give — especially with Hyperwallet, Simility and the $2.2 billion iZettle (dubbed the ‘Square of Europe) in hand. In fact, we now have a very attractive entry point lined up. In particular, the drop in the PYPL stock price from its highs, taking the valuation to 17 times 2019 EBITDA, brings a compelling entry point for long-term investors, says Napoli. He sees earnings growing at a high-teens to 20% rate in the medium term. Bear in mind this is a “strong buy” stock according to the Street. In the last three months, 24 analysts have published PYPL stock buy ratings vs just five hold ratings. This is on top a $99.32 average analyst price target, which suggests 28% upside potential lies ahead. Get the PYPL Stock Research Report. Poor Home Depot (NYSE:HD). In the last month, prices have sunk over 8%. The company is the U.S.’s largest home improvement retailer with over 2,200 retail stores. But don’t pay too much attention to these short-term stock movements. This is still a “strong buy” stock with a bullish $221 price target (16% upside) and killer long-term potential. Word on the Street is that HD stock still represents a key play on long-term upward DIY trends. “Concerns regarding interest rates/health of the housing market have limited the stock’s momentum YTD, but we remain bullish on the home improvement segment of the housing market and continue to recommend shares of HD” writes RBC’s Scot Ciccarelli (Track Record & Rating). He notes that housing macro data indicates rising spending within the home improvement sector. Plus: “We believe the company’s earnings guidance is conservative, and we think there could be upside — particularly if recently improving housing trends continue.” Ciccarelli says HD stock should also benefit from fundamental operational improvements and market share gains. Most notably, the company has a savvy five-year strategy to provide a premium delivery service for both its pro and DIY customers. 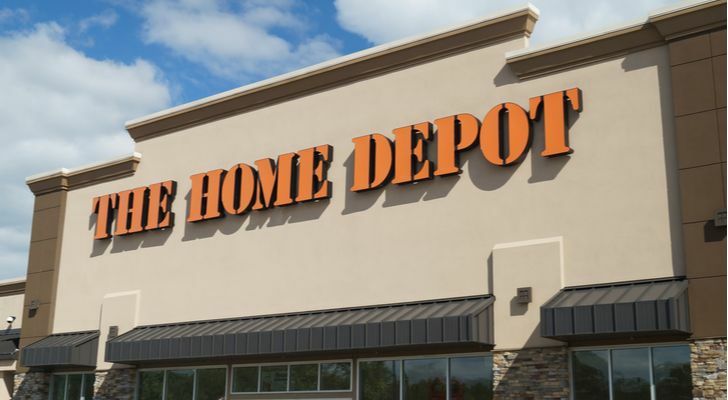 As part of this plan, Home Depot just launched same-day and next-day local delivery for more than 20,000 items in 35 US cities- a move that should also pay off longer-term. The analyst has a $218 price target on the stock. Get the HD Stock Research Report. Warren Buffett’s favorite airline stock has taken a beating recently. Over the last month, prices are down 10%. That’s despite third-quarter earning results topping expectations. On Oct. 11, Delta Air Lines (NYSE:DAL) reported adjusted EPS of $1.80, easily beating analysts’ estimates of $1.74. Post-report, DAL stock scored multiple bullish calls from the Street. Top Stifel Nicolaus analyst Joseph DeNardi (Track Record & Rating) believes shares can spike an incredible 83% from current levels. That would take prices all the way to $95. 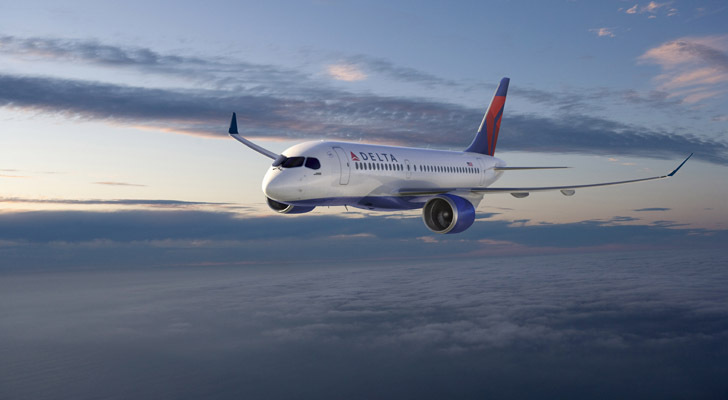 He explains that a 3%-4% capacity-growth outlook may not be as low as investors would have wished, but “if any airline has a pass to cheat, it’s probably Delta.” According to DeNardi, Delta is a leader in revenue visibility, reflecting robust demand for the higher-price premium seating. Overall, nine analysts have published buy ratings on the stock in the last three months. No hold or sell ratings here. This is with an average price target of $69.56, indicating eye-catching upside potential of almost 34%. Get the DAL Stock Research Report. This groundbreaking 3D design company makes software for people who make things. This includes software for architects, animators, builders and engineers. 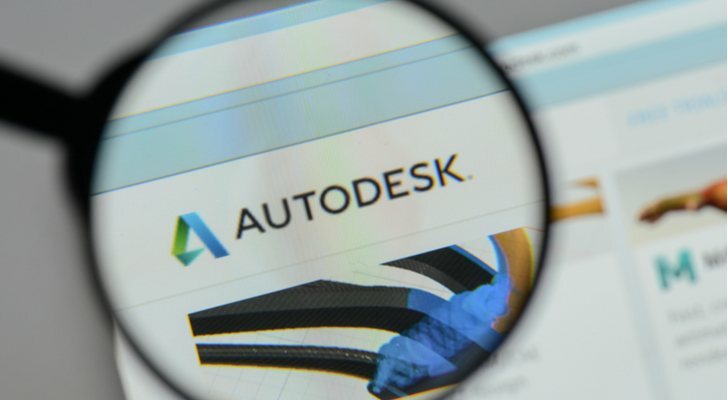 In the last month Autodesk (NASDAQ:ADSK) prices have snapped back 11%. But remember: its growth trajectory is still impressive, with prices soaring 29% year-to-date. Canaccord Genuity’s Richard Davis (Track Record & Rating) is the No. 1 analyst ranked by TipRanks. So you can bet that he knows a thing or two about stock picking. And he is firmly in favor of ADSK. Davis has just ramped up his price target on the stock from $165 to $180. His Street-high price target now suggests over 30% upside potential. He is encouraged by the shift in investor dialogue towards longer-term strategy like the opportunity in construction, operation digitization, sales alignment, and full subscription adoption. Meanwhile Evercore ISI’s Kenneth Talanian (Track Record & Rating) spies gold in ADSK’s 12 million non-paying users. “This population of users represents a substantial opportunity for increased subscription sales over the years to come” says Talanian. He sees it as one of the many ‘levers’ available to Autodesk management to exceed its longer-term targets. The analyst reiterates his Buy rating with a bullish $175 price target. In total, the stock has a “moderate buy” consensus, with a $160 average price target (16% upside potential). Get the ADSK Stock Research Report. Article printed from InvestorPlace Media, https://investorplace.com/2018/10/5-best-long-term-stocks-to-buy-hold-onto/.